Just a quick stray entry (off topic, I might add). 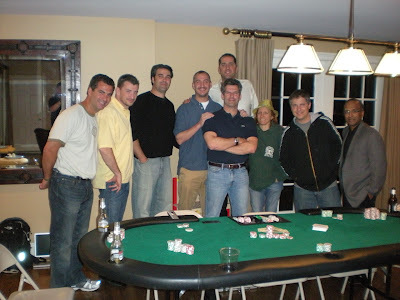 I had the opportunity to play poker last week with Phil Gordon (professional poker player, see him here http://www.philnolimits.com/) at a charity event. A friend of mine bid on an evening with Phil for charity and won the auction. The result was an evening of poker with the man himself. Maybe you play poker, maybe you don’t. I play pretty often, and while hardly at a professional level, I do ok. Playing with someone of Phil’s caliber is a completely different ballgame. He knew exactly what to do at exactly the right time EVERY time. He took money from everyone at the table (except for me). For the record, I did not win any money from Phil, I just happened not to lose any to him.